1.Thoughtful design reduces pulling pressure on your dog's neck and thus prevents choking or injuries when pulling. 2.Two leash attachment rings: One in the front for no-pull/no-choke feature while walking or training.One on the back for keeping your dog stay at home or yard. 3.Reflective straps allows safe at night or early morning walk. 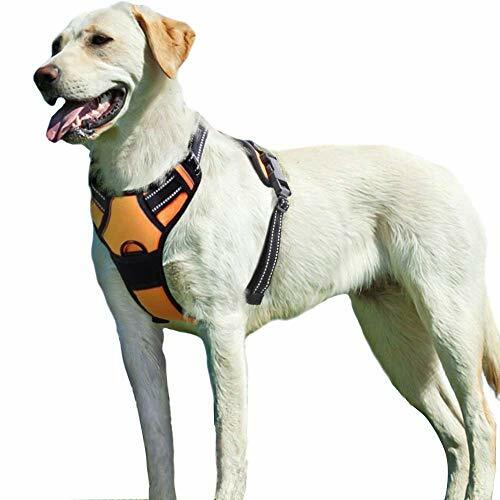 Find the best fit for your dog by adjusting the slide straps with 4 buckles, two on the neck and two on the back. To ensure your dog the best experience, please determine your dog's chest girth by measuring around the widest part of your dog's chest before purchase. If you have any questions about this product by Eagloo, contact us by completing and submitting the form below. If you are looking for a specif part number, please include it with your message.